Welcome to Original-Video video stores. 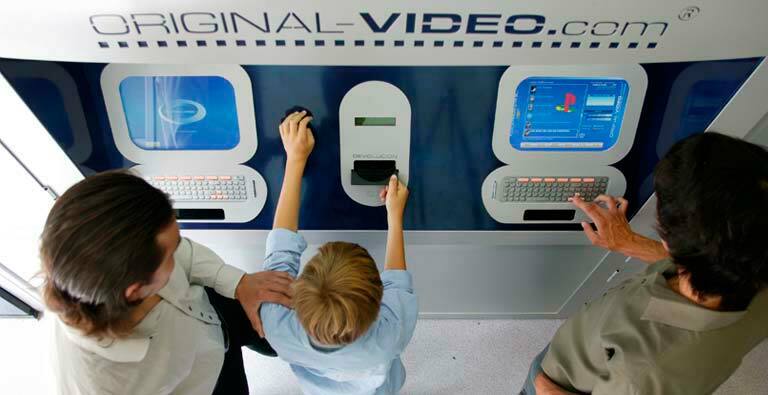 Welcome to Original-Video video stores and automated vending systems. We offer you an innovative business opportunity based on automated movie and videogames rental 24/7 using the latest technology. With Original-Video, you will take part in the billionaire movie and videogame industry with a differentiated 24/7 service platform that addresses the needs of millions of home entertainment fans. A proven success worldwide, automated DVD vending presents a great opportunity to capitalize on the newest and hottest trends within the home entertainment segment. Thanks to our technology based platform and online management software, we offer an efficient and innovative DVD vending system that enables the existing traditional video store owner or future entrepreneur to run a profitable and scalable rental operation round the clock even from the comfort of home. Imagine a 24/7 Video ATM where you can rent DVD´s, PS2, Xbox and Gamecube. Surf through our pages and you will discover the business opportunity that’s waiting for you.